So I have been having a tough couple weeks. I’ve begun to self harm again after months of finding other ways to manage my depression. I tried so hard not to but I couldn’t find another way to cope. It isn’t a good method, I’m aware of this and trying to find other ways in the future but for right now it’s unavoidable. I know many people have a lot of misconceptions about self-harm. Most people I know say that self-harm is for attention but I’d say it is almost exactly the opposite. For me, I worry people will find out about self-harm and impose themselves on my life and my issues or that people will think I need to be institutionalized. I’ve spent the night in a hospital psych ward before and I don’t intend to do it again. As a side note, the entire time I was there the hospital never sent a councilor to speak with me and I was allowed to sit there all night and think about how much I hated my life. For me self-harm gives me some sort of control over a life that feels like it is spiraling out of control. Yes, there are ways in which it can be life threatening but that’s not what I intend to at this point in my life. For me, it is something I do when I feel like I can’t focus on anything but the bad. It grounds me in some weird way although I know it sounds bad. I’m working on it. I need a better method to calm down though. But there is good in my life. The past few days I have been happier than I have in a while. 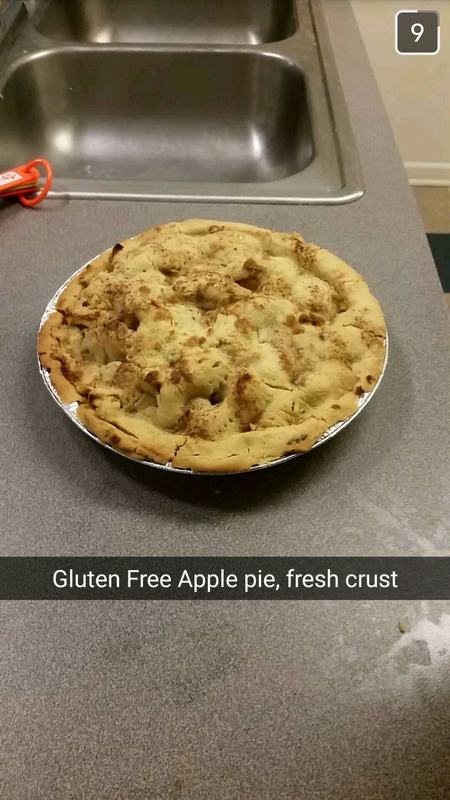 My boyfriend came to see me, we watched Psycho from 1960, we went apple picking and then we baked a banging gluten free pie. I feel like a simpler person when I’m with him. I don’t quite understand how this all clocks together in my brain but somehow I forget most of the bad things when I spend time with him. And the things I don’t forget we can talk about and he shares his opinions with me and somehow those problems feel smaller too. I often worry that I am not as good to him as he is to me. I try to be. I just feel guilty that I am always sharing my issues with him and that sometimes I am calling him in the middle of night during a panic attack. But he is always there and I have given him several chances to run away but he has stayed. So there are ups and downs and I don’t quite know what to make of it. I think the best quote to explain it is, “So, this is my life. And I want you to know that I am both happy and sad and I’m still trying to figure out how that could be.” -Perks of Being a Wallflower, Stephen Chbosky.